Ich (Garvin) verfolge die Entwicklung von Mr. Cuddington schon etwas länger. Inzwischen bin ich ein Fan Ihrer Arbeit geworden. Daher habe ich mich kurzerhand entschlossen, das Paar zu kontaktieren, um sie um ein Gespräch zu bitten. David und Lina haben sofort zugesagt. 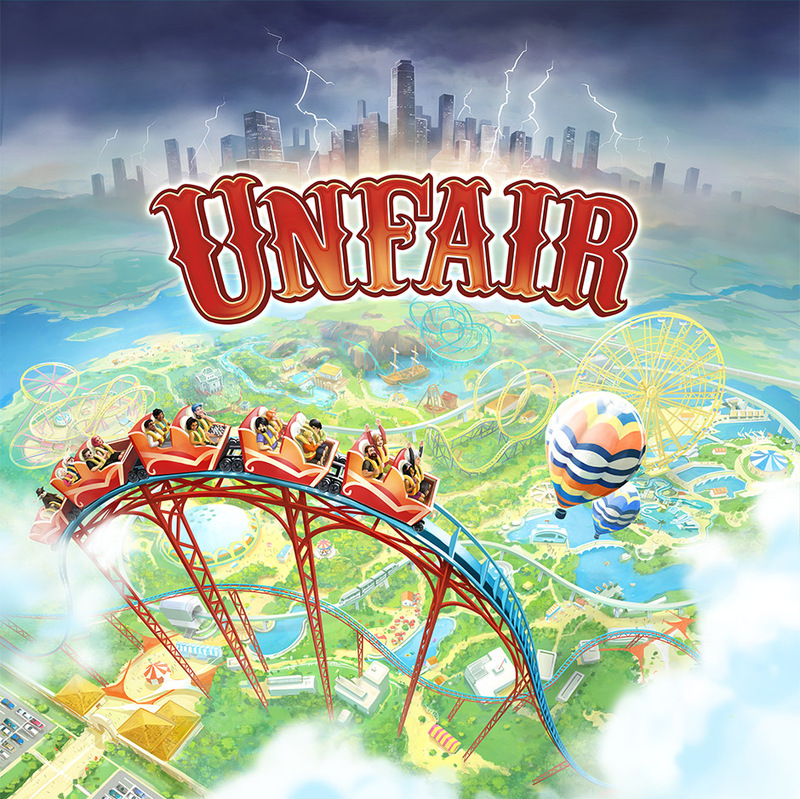 Erfahrt hier näheres über Sie, Ihre Arbeit und Ihre Leidenschaft für Brettspiele. First of all thank you very much for doing this interview with us. Can we start with a little background information about your company, Mr. Cuddington and yourselves? Why have you decided to focus on the Board Game Industry? Thanks for having us! Mr. Cuddington is the combined work of my husband David Forest and myself, Lina Cossette. We work from our little home studio in Quebec, Canada where we specialize in creating illustrations for board games. Tabletop games and illustrations are passions we share so we decided to make a living out of it! We both were working in the video game industry in Montreal but we loved the idea of working just the two of us as freelancers. Video games and movies usually require a big team of artists and months if not years of work. Board games are of a scope that is way easier to manage for a small team such as ours. You work as a Team. Who is responsible for what kind of Work, how do you complement each other skill wise? Surprisingly enough, we both work on pretty much all pieces of art together. I do have a small preference for character design and sketches and David loves to do landscapes and finishing touches. But we still work on everything together and when we feel we don’t have a fresh eye on something, we often exchange work so that we can keep moving forward. That’s one of the thing we love about our process. Can you please describe the process, when you work on a project? It starts with the client’s request, what are the following steps until you reach the goal? How much time you spend on a Project on average? It depends on the project. We’ve had some games completed in the matter of 1.5 months. For others, the process has been more slow and stretching to longer than a year. It really depends on what is required, so the first thing we do is establish a timeline with the client. These days, the process we like most is to work a bit on everything at the same time, in order to form a rough picture of the entire final product before we move on to cleaning it all up. Do you have to meet the Designer and Publisher in Person or is the communication mostly done over E-mail, Video Conference etc.? I guess the clients are from around the world and you are based in Canada, which makes it difficult to meet in person? Most of the time we communicate with our clients over e-mail but sometimes it’s easier to have a quick video chat to explain something specific. Unfortunately we did not have the chance to meet any of our clients in person yet. We probably will in the future if we start attending cons, which is hard for us at the moment since we have young children. Do you get access to prototypes in order to have better understanding and the scope of the Game first, before start working or even quoting on the Project? Sometimes! It’s usually not necessary for us to give a quote but it can be really useful to know how the game plays in order to illustrate it in the most functional way possible. There are other times when a publisher might send us a playthrough video that they did using the prototype. It allows us to have a good overview of the game and we can always watch it again when we are not sure about something. How many revisions are usually necessary, until it gets approved by the Publisher? Do they sometimes ask for drastic changes in your art direction? It’s different on every project so it’s hard to tell. We always try to keep things pretty rough until we are sure we are in the right direction. It’s pretty rare that we are asked to do drastic changes or completely scrap an art piece but there are illustrations that did require a lot of fiddling to get just right, especially box covers. Overall, good communication is key to getting the least revisions possible. Are you working on multiple projects at the same time? Yes. Sometime even more than we would like! It’s always hard to predict what our workload will be in a couple of months since we work on a lot of Kickstarters that may unlock a ton of stretch goals. We started realizing that even though it’s hard to say no to new interesting opportunities, we should probably limit ourselves to a maximum of 3 projects at a time to stay efficient. Do you have to work under a tight Production schedule in general? If yes how do you deal with the pressure and be creative at the same time? Yes the last year was a pretty busy one. When pressure is high we normally try to take it one step at a time. Giving ourselves small goals along the way makes the journey more enjoyable. Is it difficult to come up with new Ideas? Where do you draw your inspiration from? Do you have to spend a lot of time in doing research? We usually do a lot of research before we even start drawing. We get inspired by a lot of things, from books we’ve read to films we watched. Of course we also get inspired by the work of all the great artists out there. Do you sometimes run into a dead end; were you just lack ideas to move forward with the project? A creative blockade so to speak? When we feel we are running in circles on a project, we pick each others’ brain for ideas and it helps greatly. It’s very frustrating when it happens but it’s something that’s way easier to manage as a team than completely on its own. What is the greatest challenge for you personally, when you work on a project? The challenge is to push ourselves further on each project. We want every game to have a distinctive style and we want to keep growing as artists so that always keeps us on our toes. It’s challenging but rewarding at the same time and it’s probably our favorite part of the job. We do have a special relationship with Roxley, it was one of our first client in the board game industry and we consider Gavan Brown to be a good friend of ours. We love how perfectionist he is and the great care and dedication he puts into all Roxley’s games. Although we might not be able to do all of their titles in the future, the company holds a special place in our hearts. 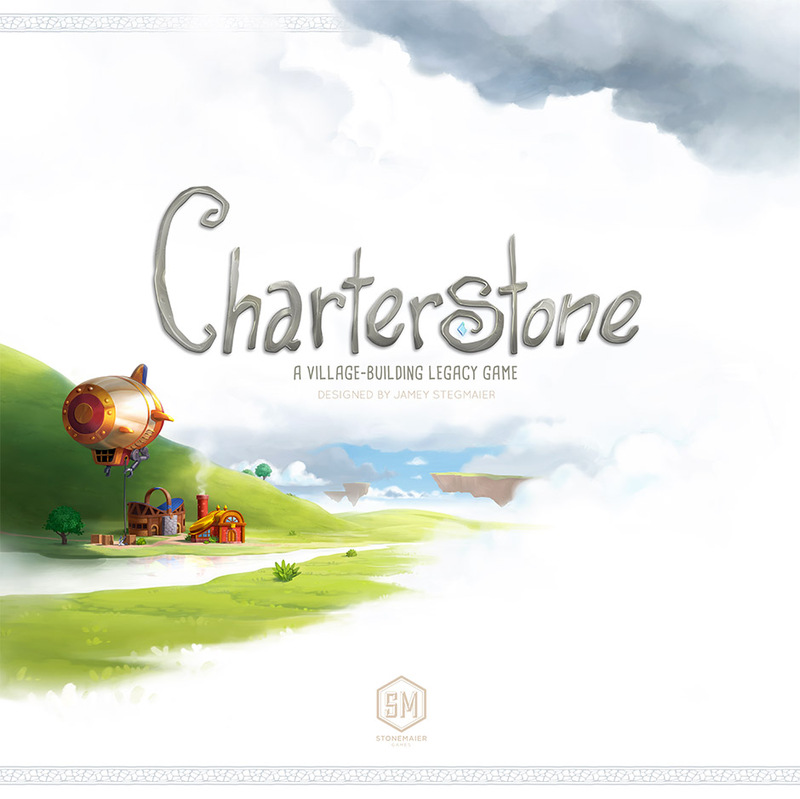 You are also working on Stonemaier Games newest Game Charterstone. How did this collaboration came to be? 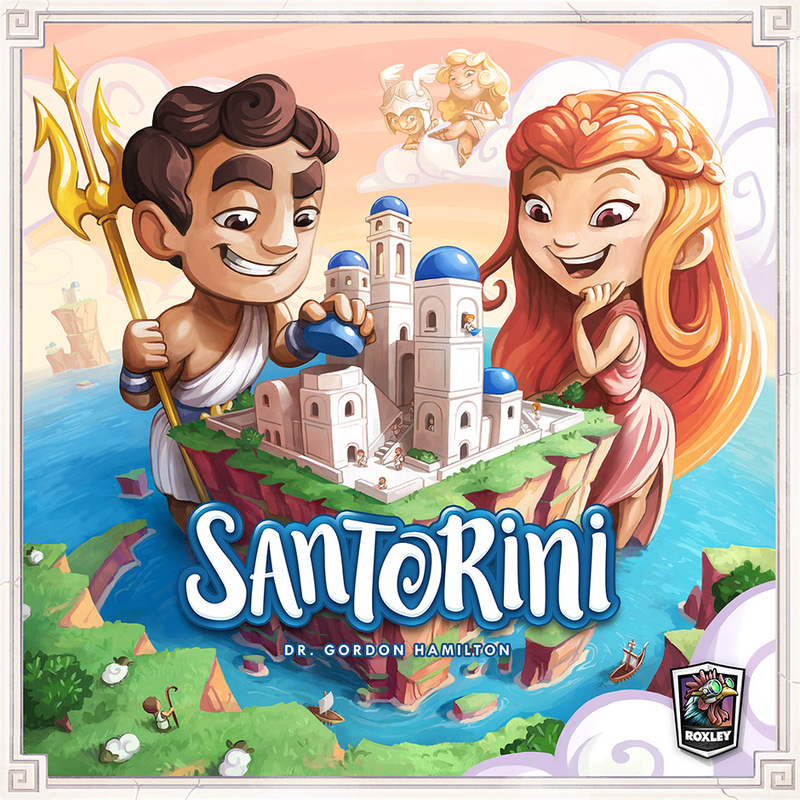 Jamey contacted us shortly after the Santorini campaign to ask about our availability. We were super excited to be able to work on something with him. The project was incredibly fun to work on and we ended up doing way more art than was originally planned for it. Unfortunately, because Charterstone is a Legacy game, we can’t really talk or show too much of what we did. We can’t wait for people to get their hands on it! To my Knowledge (please correct me if I am wrong) you work mostly for North American Publishers, do you have experience with Publishers/Designers out of Europe/Germany? We do work mostly with Canadians and Americans, except for Joel Finch who is Australian. We don’t have much experience with European publishers. We started receiving more request recently but since our current clients tend to come back we usually don’t have enough availability to fit new clients. Would you say the Board Game Industry is very competitive for an Artist? Are you relying solely on Board Game related projects as the primary source of income? I would say it’s becoming a very competitive industry. 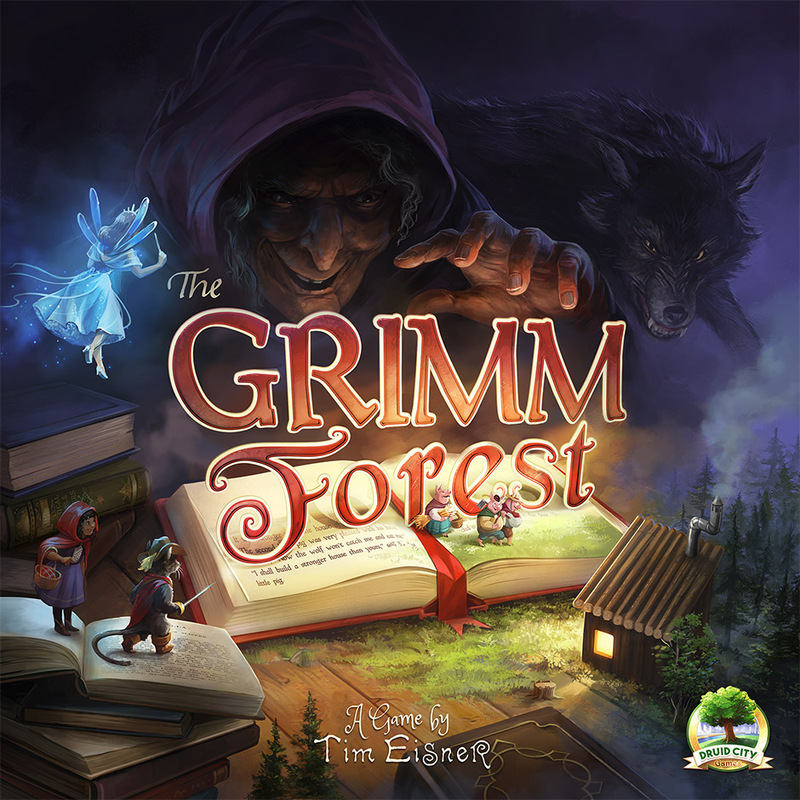 There are plenty of stunning looking board games that have came out in the last few years. We are truly impressed by the quantity and the quality of artwork we see on the shelves these days! 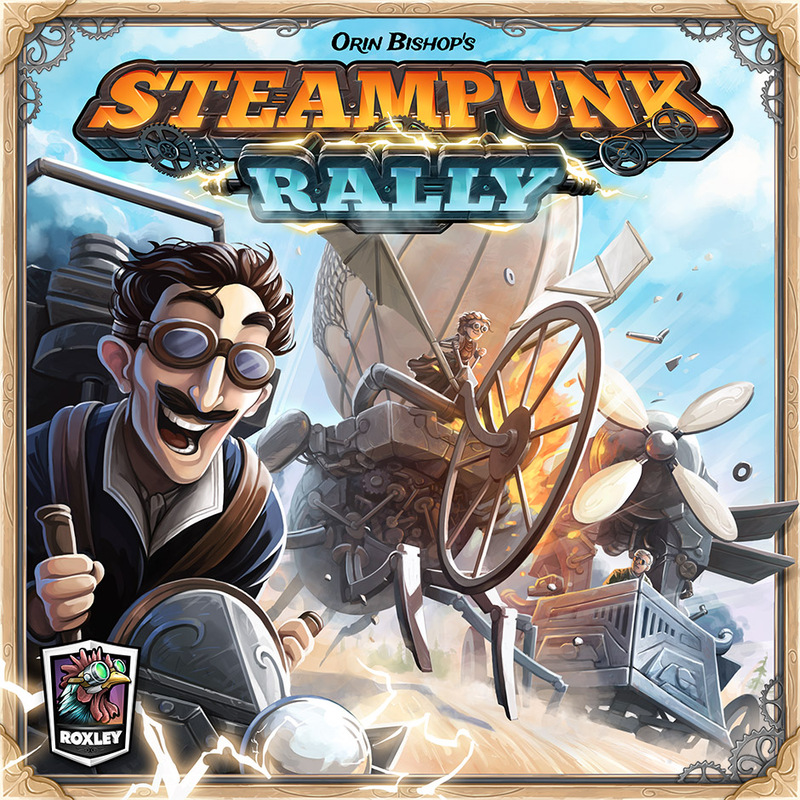 We are focusing on board game art for now as we find the field captivating, but we do have a wide range of skills, ranging from illustration and graphic design to 3d animation and graphic design. One thing we love about being able to do all of that is that we can really shape the whole look of a game. To Give readers a rough idea, how much does Professional Art cost? As an example, how much should a creator budget for let’s say 2-3 Illustrations for packaging, couple cards and some Token designs. What rough figures would be necessary, to do a full big game including everything which requires Art and graphic design? It’s such a complicated question! 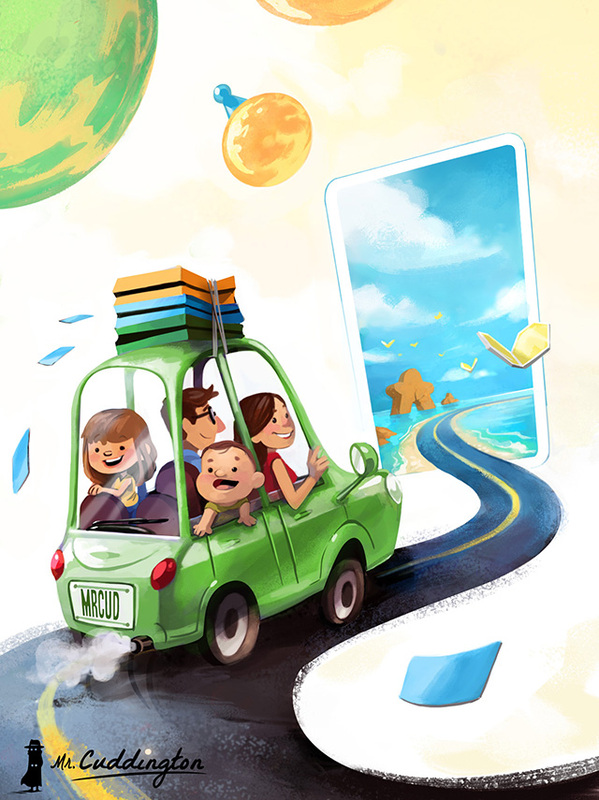 Right now our card illustrations are around $200 on average, but then you have to add some more time for icons and graphic design, and all of it can vary a lot depending on the scope and style. A small game can fit under $4000 just as a big one can easily go past $15 000. It all comes down to what you find a fair hourly rate and how much time you spend on your different tasks. Of all the Projects you have worked on so far, do you have a favorite that stood out? 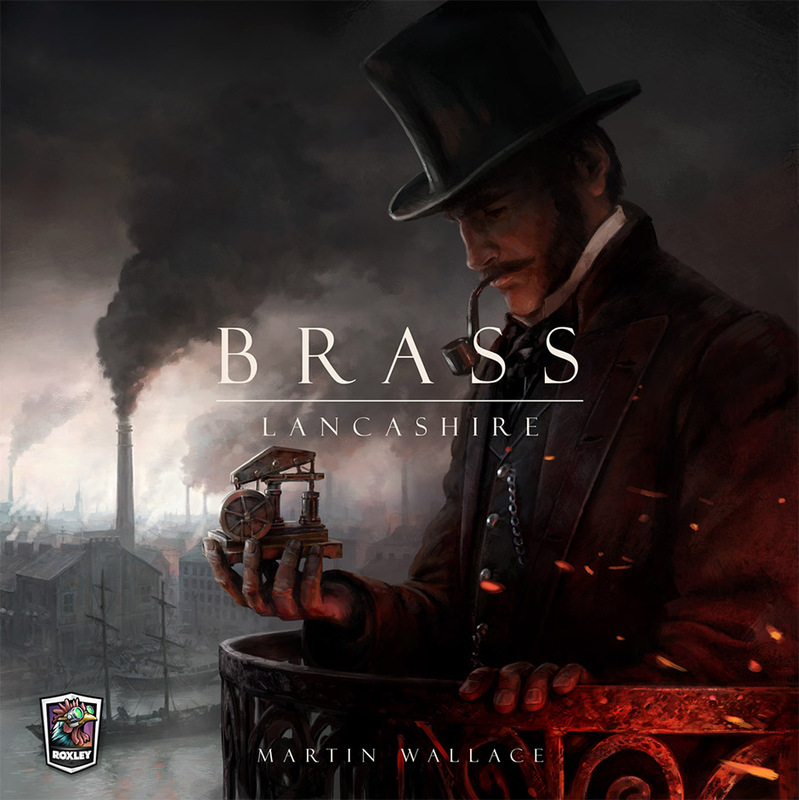 I would say the one that stood out the most recently was probably Brass since it was so different in style, compared to all our other games which have tended to be very bright and colorful. I really can’t say that we have a favorite game because they each have been a very distinct adventure for us. Do you have a favorite artist who you admire? In the board game industry, we really admire the work of Xavier Collette and Christophe Fossard (also known as Biboun), but we draw inspiration from all kinds of artists around the world. For example, we admire the work of Oga Kazuo, who painted many of the backgrounds in the animated films of Studio Ghibli, just as we love the flowy lines and character designs of Cécile Carre. Really, there’s too many to count! Is there some kind of a “Dream” Project or “Dream” collaboration with other artist, you would like to do in the future? We have been thinking a lot about what we want to do with Mr. Cuddington recently and we realized that one thing we would love to push forward in the coming years is to create new exciting IPs and work alongside designers to create truly immersive board game experiences. We are bubbling with ideas and we love a challenge so we started discussing our ideas with our current clients. It’s the kind of thing that require lots of time and planning but it gets us thrilled about the future! Do you still find enough time to play games on a regular base? What are your favorite Games? Unfortunately no! But at the moment I would say it’s mostly because we just had a baby and we barely slept in the last 3 months. We sure miss the time we could play every night but right now our best solution is to play a game in multiple sittings. It’s not optimal but it’s better than nothing at all! Recently we started playing Xia with the expansion and it’s been a blast. We are looking forward to receive Gloomhaven and can’t wait to dive into this world together! We also love playing Super Motherload, Innovation, Seasons and Race for the Galaxy among others. What advise can you give to newcomer artists, who would like to get a foot into the Board Game Industry? Build yourself a small portfolio with your best work and put it out there. There are FB groups about board game art where you can post your portfolio, and there is also a thread about art and graphic design on BGG. Lets look into the future, what is the next big thing you are working on? The next big thing that has been announced recently is Arydia, a new game by Cody Miller (designer of Xia: Legends of a Drift System). It’s an open-world, campaign based, cooperative fantasy role playing game, it will look fantastic, and the Kickstarter campaign is planned for early 2018! Any final Thoughts you would like to share with the readers? Thank you so much for taking your time to answer our questions. We wish you all the best and lots of success for the future! Thanks you! It’s been a pleasure! David und Lina waren so freundlich und haben exklusiv für Spielstil ein Artwork erstellt. An dieser Stelle ein großes Dankeschön!